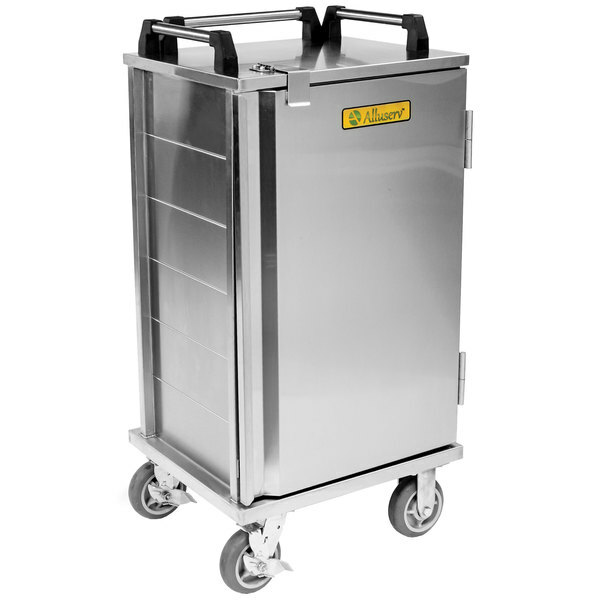 Room service at your hotel or tray service at your small healthcare facility is made easy with this Alluserv RS10 10 tray meal delivery cart! Featuring fixed tray slides set 5 1/4" apart, this cart has the ability to hold up to (10) 14" x 18" or 15" x 20" trays full of plated meals. Plus, its small footprint and (4) 6" casters, 2 with brakes, allow it to be easily maneuvered around corners, through hallways, and into elevators.